Irregular injection molded structure design, special glue formulation, high cohesive strength between rubber and metal, compact and sustained elastic resilience. Suitable for planar seals in steering pumps and valves and seals under the conditions of reciprocating motion with pressure. 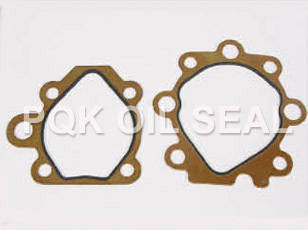 Zhejiang Shangyu Oil Seal Co.,Ltd is a leading China combined seal rings manufacturer and supplier, our combined seal rings factory can provide customoers cheap combined seal rings products. Welcome to buy discount combined seal rings or wholesale products from us.